Zeppelin memorabilia collectors with extra freezer space should scoop-up cartons of Ben & Jerry's Hazed & Confused ice cream before they get yanked from shelves. Facing criticism that the variation of a title of a song on Led Zeppelin's debut album could be taken as making light of the dangers associated with fraternity hazing, the Vermont cold sweets company is considering changing the name of the flavor. Only three letters of complaint over the use of the name were apparently received by the company, but one came from he parents of a 19 year-old that lost his life in a hazing incident at a North Carolina college six years ago. 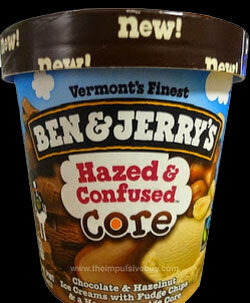 Ben & Jerry's has frequently used plays on words and phrases when naming products. The use of the name Cherry Garcia for an ice cream a number of years ago was challenged by estate of Jerry Garcia. An agreement was reached that allowed the company to continue using the name.